This week’s Highlands NC real estate spotlight is on Old Edwards Club at Highlands Cove. A phenomenal golf community the Old Edwards Club at Highlands Cove was designed to enhance your lifestyle, offering an exceptional 18 hole Tom Jackson designed golf course, a fantastic clubhouse and access to all of the amenities the Old Edwards Resort and Spa has to offer. This lovely community has lots available on which to build your dream home or homes currently listed for sale that have everything you could want in a Highlands mountain getaway. Old Edwards Club at Highlands Cove is located between Highlands and Cashiers and is deemed “a 440-acre sanctuary in the clouds”. One visit and you just might not want to go back home. The views, flora, fauna and wildlife add to the sense of peace and tranquility one looks for in the mountains. 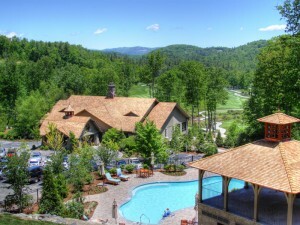 Old Edwards Club at Highlands Cove offers gracious living and the opportunity to be social and active. Contact me, Lynn Kimball, today to access all Highlands real estate listings currently available at Old Edwards Club at Highlands Cove or any other community in the area. I welcome the opportunity to help you locate your dream home in the mountains.